One of the most recent rumors swirling the technosphere has been who is going to be sourcing the modems for Apple’s first generation of 5G smartphones. Despite the fact that there appears to be at least six different companies planning to offer 5G modems over the next couple of years, only a few companies had ever been in the running to get an extensive Apple contract. Today, at Huawei’s Analyst Summit, Huawei took itself out of the running. The modem inside the modern smartphone lets it communicate with the outside world based on standards and carrier frequencies. Each smartphone uses a modem, either one internal to the processing core, or an external one, depending on how the device is built. Apple, the third biggest smartphone manufacturer in the world, uses explicitly external modems for its smartphones. Over the past few generations, for its 4G enabled devices, Apple has switched between Qualcomm modems and Intel modems, based on its business dealings and sourcing. With the new 5G communication standards coming into play over the next two years, we have reported on at least six companies planning to offer a mix of internal and external modems: Qualcomm, Intel, Huawei, Samsung, UniSOC, and Mediatek are all on that initial list. Apple is the biggest purchaser of high performance external modems in the smartphone market, so getting the contract to supply Apple is typically a big deal. Realistically, out of those companies, the first four could potentially be able to supply Apple with what they need for its first 5G generation. Based on previous devices, the obvious contenders would expected to be Qualcomm and Intel. Qualcomm is essentially ready with its 5G modems, with a number of device wins in the pipeline based on its X50 and X55 family of modems, as well as some devices hitting the market. However Apple and Qualcomm are currently in the courts over Qualcomm's modem royalties, which makes this a contentious option. Intel is somewhat behind the others with its technology, and its modems not expected to see major production until late this year or early next year. Samsung’s Exynos 5G modems also seem to be ready, at least for the company’s own Samsung Galaxy S10 5G in Korea, however it is not known if they are produced in volume. The other alternative, spoken about among analysts as a possibility, has been Huawei. 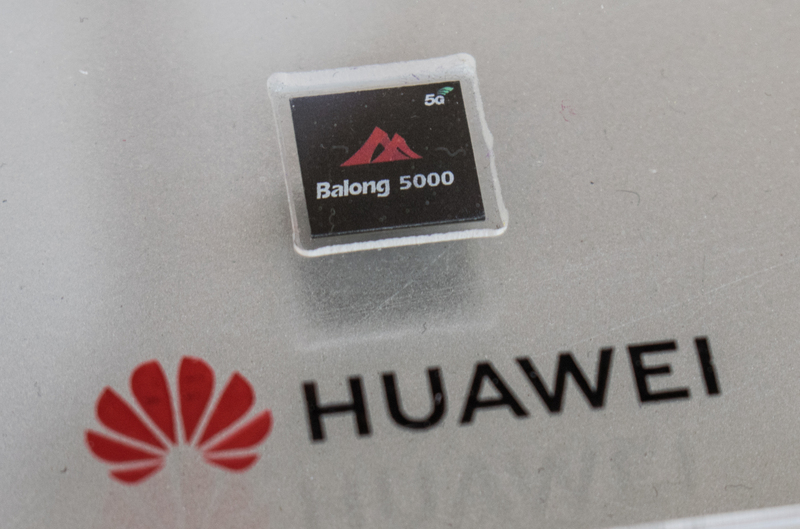 The Huawei Balong 5000 modem, as shown off at Mobile World Congress, is expected to power Huawei’s own first generation of 5G devices. 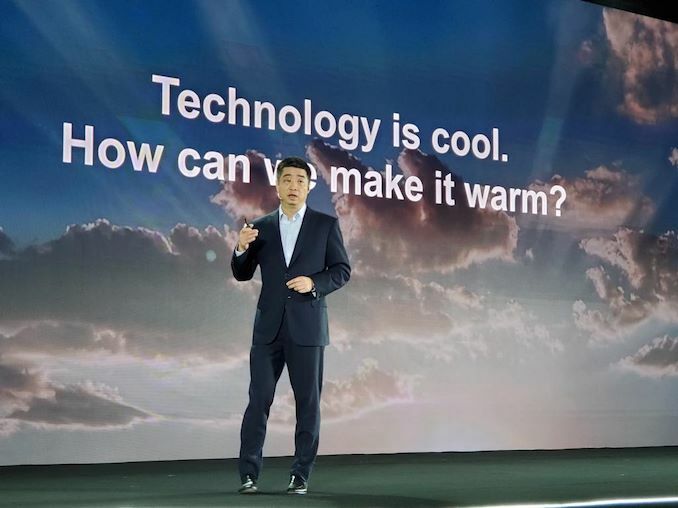 Huawei’s ability to mass produce at scale has meant that analysts have considered it in the running to supply Apple with 5G modems, despite the company not having dealt with Apple before on modem strategy. In terms of this rumor, it is good to get a clear answer as to where the component manufacturers stand. With regards who is supplying Apple’s next generation 5G modems, most bets are on Intel or Samsung. Given Apple and Qualcomm’s recent modem legal quandaries, it would be unexpected for Apple to select them at this time. Not sure. While Apple has been reliant on external modems from 3rd parties, they have been hiring wireless talent for in-house projects. Considering the highly vertical and secretive nature of Apple, generally the only time the public knows about these is if Apple discloses it at the unveiling or it is inferred to later after the product reaches the public's hands. "Apple, they have long mastered the art of making carriers bow to their wishes."